View the entire table of contents for the July 31, 2003 issue. It's always a pleasure to drink a great bottle of wine from a well-known, well-established estate. But it's also exciting to discover a delicious wine made by a young winemaker you didn't know of before. 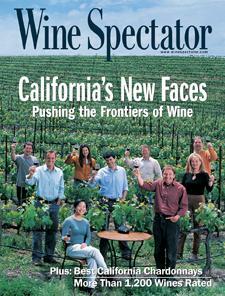 For the full article, check out the new issue of Wine Spectator, on newsstands July 31, 2003. Can You Spare Any Exchange?